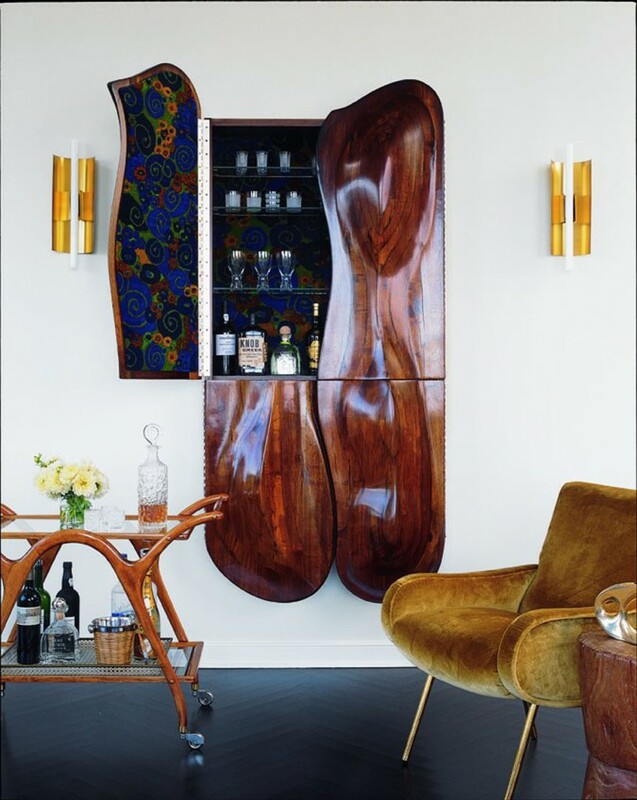 It’s Friday night, but perhaps you dislike heading out of the house to have a cocktail drink, or you would just like to enjoy a soothing glass of wine in your own home. If going to a random local bar may not sound too appealing as you’re not quite sure what you’ll encounter there, consider reserving a space within your home to set up your own personal bar. 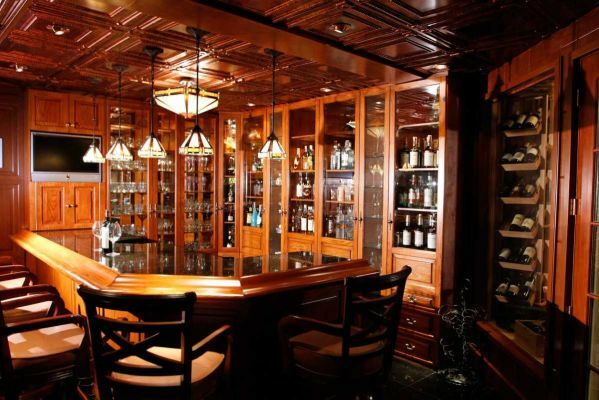 This wonderful bar incorporates a wine cellar to display your prized collection. 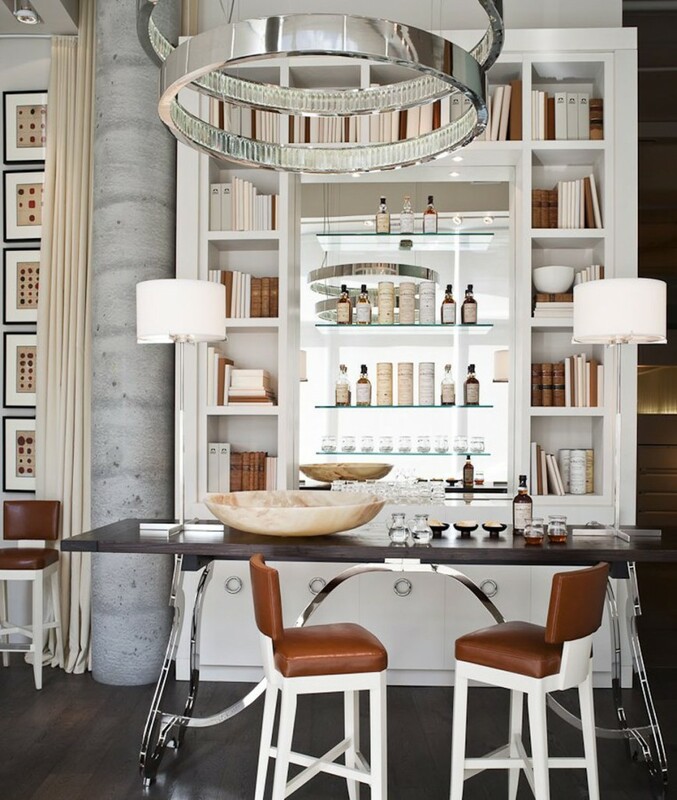 The glass-paneled wooden cabinets and traditional lighting create a luxurious home bar setting. A pub-style atmosphere with all dark wood paneling and dimmed lights can set a cozy setting to unwind with a few friends after a long workweek. Just add a television for catching important games, or to enjoy your favorite television series away from the kids and other distractions. 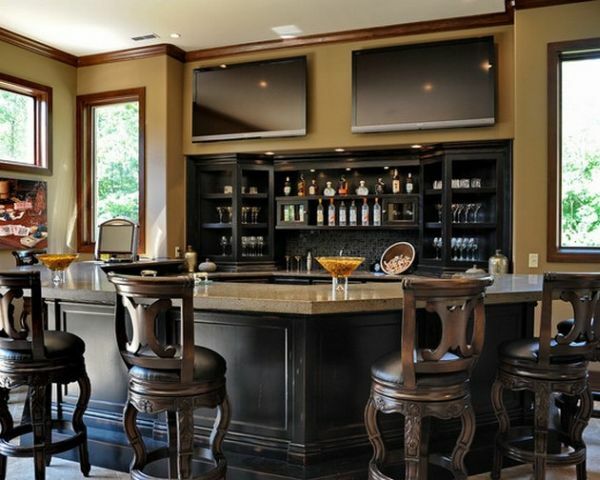 If you have a few regulars who will be enjoying your home bar, or just can’t decide what game to watch, perhaps two or more TV screens is desired. 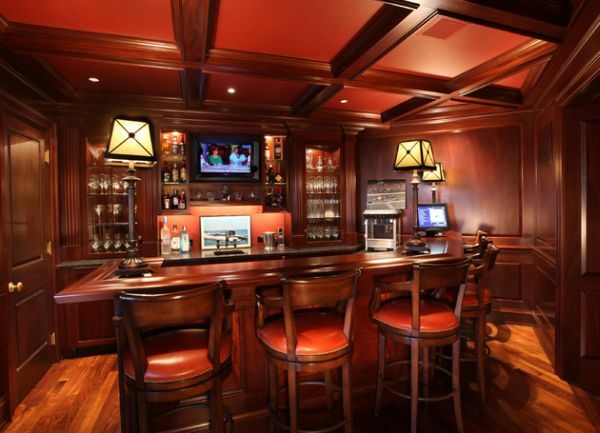 This lovely bar has elegant bar stools, has a light, airy ambiance providing plenty of natural light. 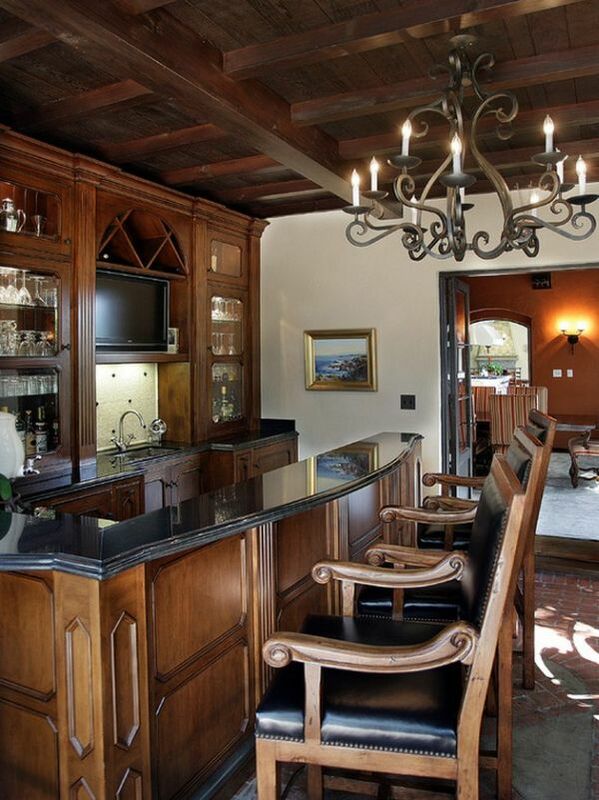 A marvelous traditional granite-top bar like the one above, only needs but a few ingredients: several drinking glasses, plenty of counter-space, and a few comfy bar stools. After that, the only problem you’ll encounter is choosing what drinks to stock!